WASHINGTON — Sales of new U.S. homes plummeted 8.9 percent in October, as the number of newly built, unsold homes sitting on the market climbed to its highest level since 2009. 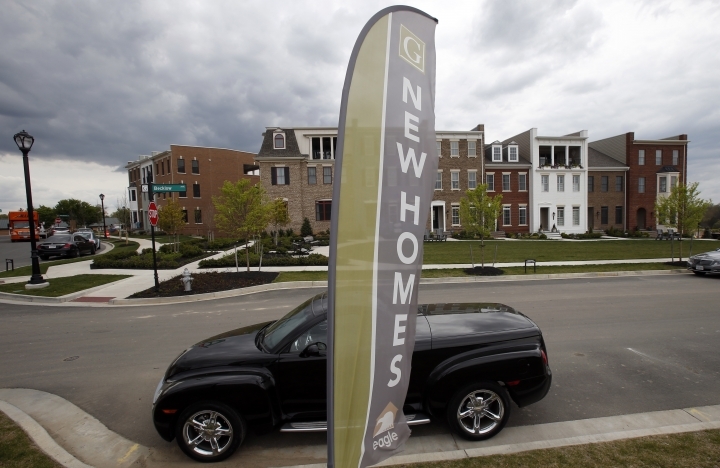 The Commerce Department said Wednesday that new homes sold at a seasonally adjusted annual rate of 544,000 last month. New-home sales have declined in four of the past five months. Over the past year, sales of new homes have dropped 12 percent as higher mortgage rates have caused would-be buyers to back away. The report adds to the evidence that the U.S housing market has stalled after years of prices climbing faster than incomes. The affordability pressures were offset by historically low mortgage rates, but the borrowing costs for homeowners shot up after President Donald Trump signed deficit-financed tax cuts into law at the end of last year. Sales of existing homes have tumbled 5.1 percent this year, the largest annual drop recorded by the National Association of Realtors since July 2014. "The main reason it's cooling is home prices have risen out of reach for more and more buyers," said Robert Frick, corporate economist with Navy Federal Credit Union. "That the supply of new homes on the market also increased shows further price declines should be coming." Mortgage buyer Freddie Mac said that the average rate on the benchmark 30-year mortgage was 4.81 percent last week, up from 3.92 percent a year ago. The decline has left homebuilders with 336,000 homes listed for sale. That is the highest level since January 2009, when the real estate market was still sorting through the wreckage of the last decade's housing bubble. New-home sales last month fell in the Northeast, Midwest, South and West. Home sales in the South were likely hurt by a barrage of hurricanes, while wildfires in the West may have damaged sales in the West. The median sales price has tumbled 3.1 percent from a year ago to $309,700.